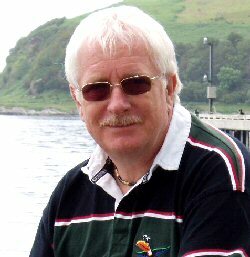 Repeated the folowing Monday night at 11.0 pm and available after transmission as a podcast. 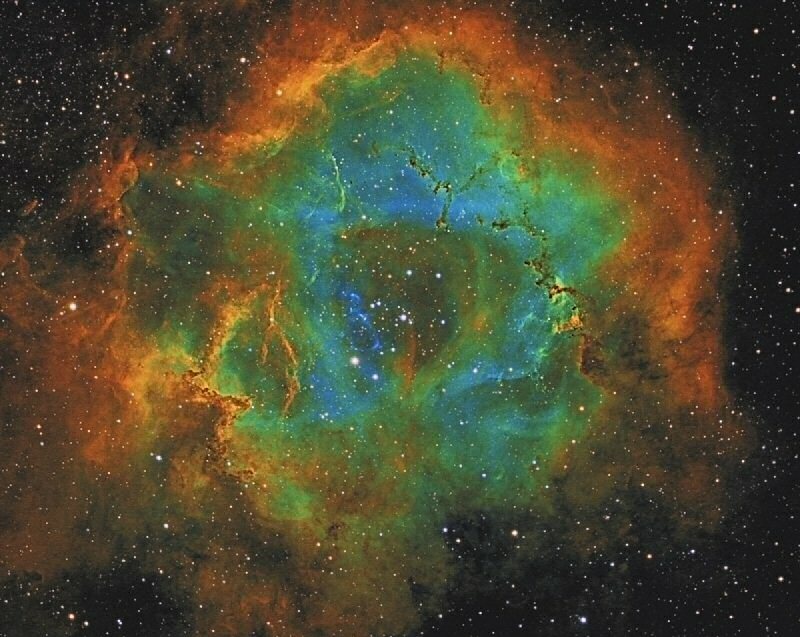 The Rosette Nebula (NGC2237) lies 5000 light years away in the constellation of Monoceros. It's a star forming region, the cluster of stars in the centre having been formed from the gas clouds of the nebula. This stunning image was captured by Martin Baker, a member of Guildford Astronomical Society. He used a small (72 mm) refractor telescope, a motorised tracking mount and a specialised astro-imaging camera. About 30 separate exposures (some of 15 minutes in length) were taken using three different filters in January 2017. These images were combined using software then processed to give this splendid result. John Axtell from the Guildford Astronomical Society with a monthly review of astronomical matters including a review of the past month's discoveries, events and space missions, Constellation of the Month, forthcoming talks and events and what's up in the night sky to see during the coming month. You can listen to the shows below, read the PDF of the programme and watch the constellation of the month. The first image of a black hole captured by the Event Horizon Telescope, a network of eight telescopes around the world.